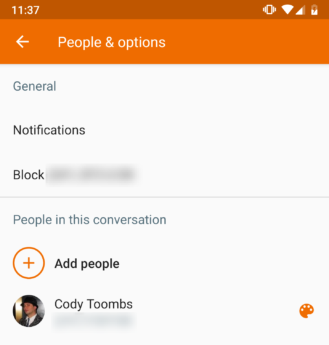 A new version of Android Messages began rolling out late last night. Beyond a few small cosmetic tweaks, this update appears to be almost entirely focused on preparing upcoming features. There's activity related to pairing with Chromebooks, further developments in dark mode, and forward progress on fighting spam. Google has been slowly edging closer to adding more convenient integrations between Chrome OS and Android. Almost exactly one year ago, we saw the first tease for a feature called SMS Connect, which promised to bring convenient texting to laptops. 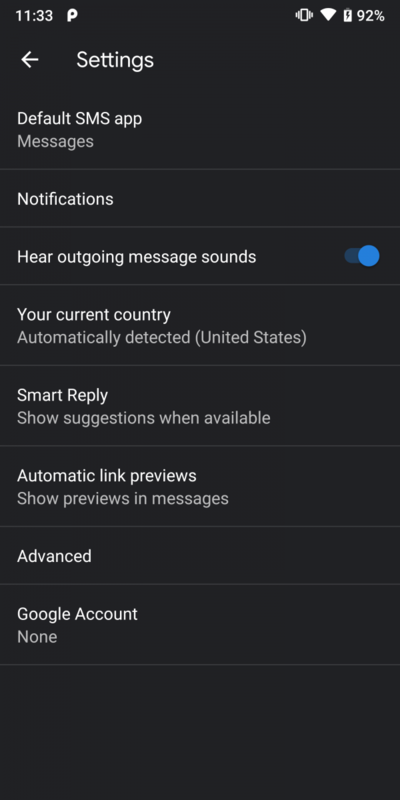 Of course, we've since seen the launch of Android Messages for Web, which basically fulfilled the main promise of SMS Connect, but it left a little bit more room for improvement. Just two weeks ago, another tease was added to this story with a little bit of activity on the open source tracker for Chrome OS; but now a new tease is evident in Android Messages. A new title line turned up with the name "Pairing with Chromebook" and sporting the codename "ditto." There's really nothing new to be learned from here, it's merely a title and some of the basic implementation code that will be used for linking a Chromebook that's in close proximity to your phone. 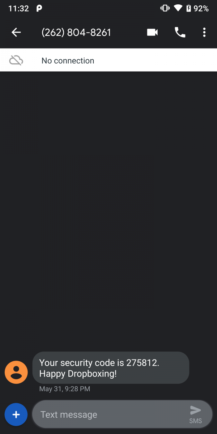 How and why this differs from Messages for Web is still unknown. 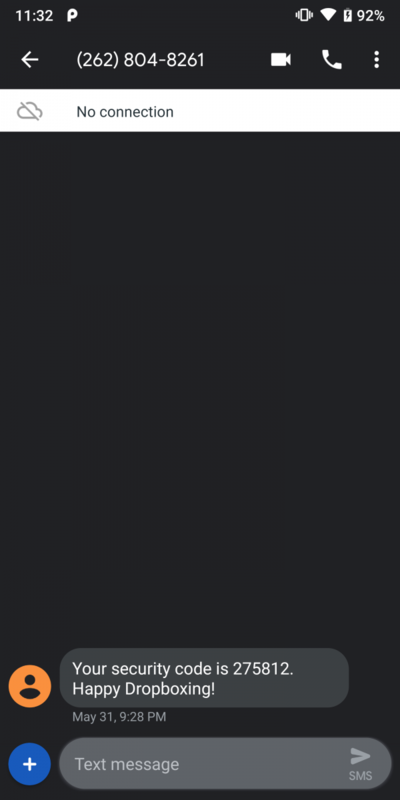 There's more activity surrounding Dark Mode, which first turned up in v3.2. The latest update moves the Dark Mode toggle out of Settings and places it in the overflow menu, but it's not entirely clear if that will remain true or if this is just for testing. 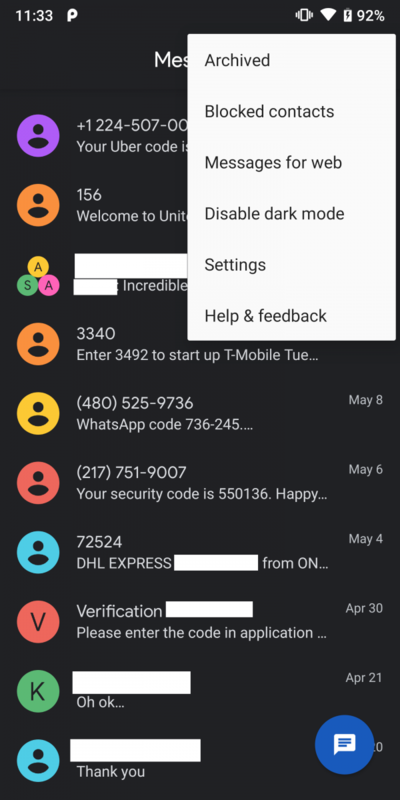 Kieron Quinn (developer of Mighty Quinn Apps) went a step further and triggered Dark Mode visibility, so we can see how Google's theming efforts are going. It looks quite a bit like most of the other Google apps that have added dark themes, but it's obviously still not entirely complete, thanks to a bright overflow menu, icons, and so on. And finally, we've got a little bit more related to the fight against spam. 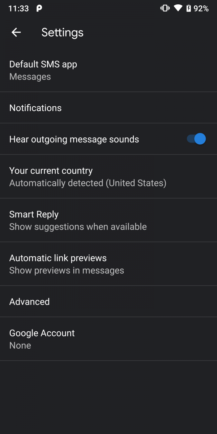 It seems Android Messages isn't just collecting reports of spammers, it will begin detecting spam and make suggestions to report anything that actually is unwanted. New text was added to this version that will advertise that an incoming message appears to be spam and it will give buttons to either report the message or confirm that it belongs. 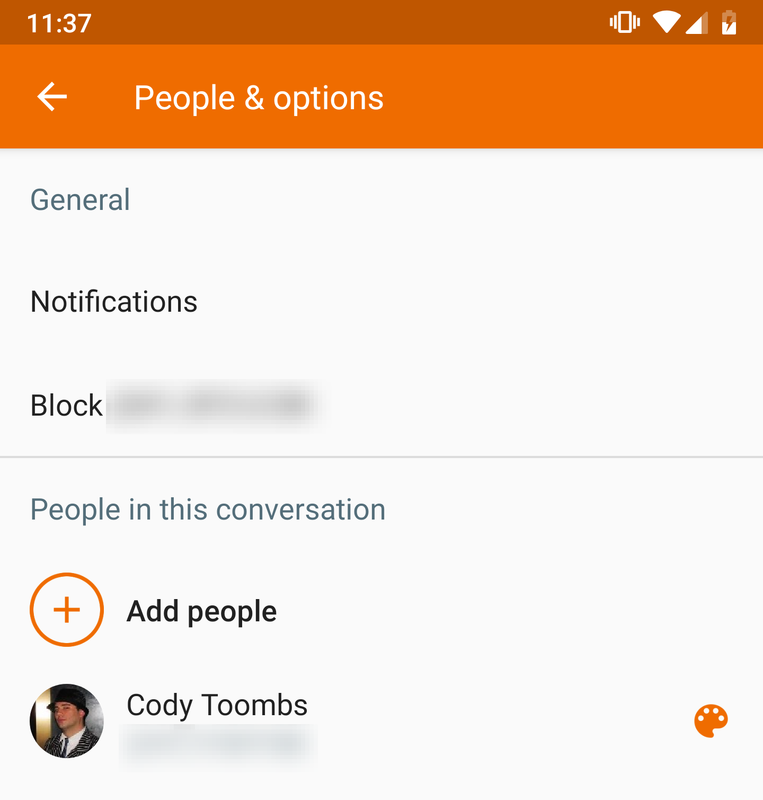 This addition happens to come alongside a small change in wording for the option to block a number. 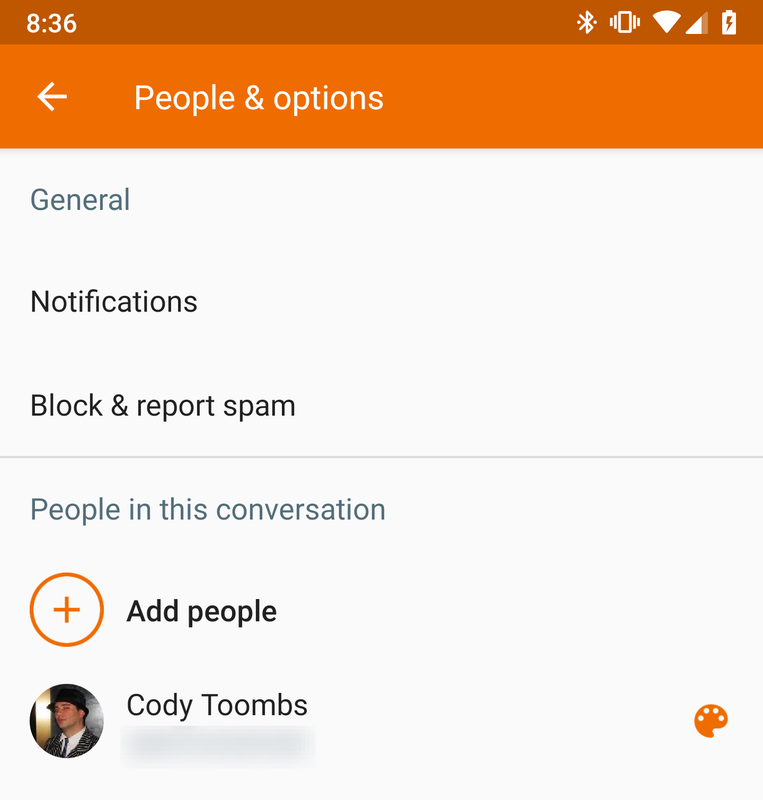 If you look in the People & options screen in the overflow menu, the Block command has been adjusted so it no longer shows the number, and the line now reads Block & report spam. There's no functional change to this part, you can still report messages as spam from the confirmation dialog.